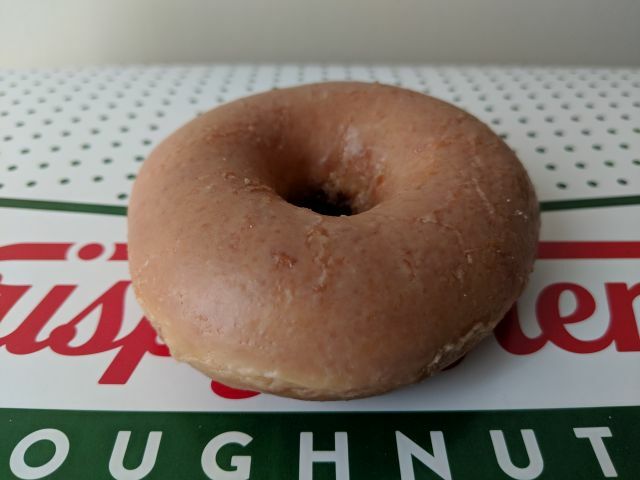 Krispy Kreme's Coffee Glazed Donut features a yeast ring donut covered in a coffee glaze. These normally cost around $1 but I received this courtesy of Krispy Kreme. For the most part, the Coffee Glazed Donut tasted the same as an Original Glazed Donut but for a subtle but distinctive and pleasant note of coffee to the glaze. Still, the flavor was more of an aroma then anything. If you plug up your nose and eat one of these, you might not taste any difference. 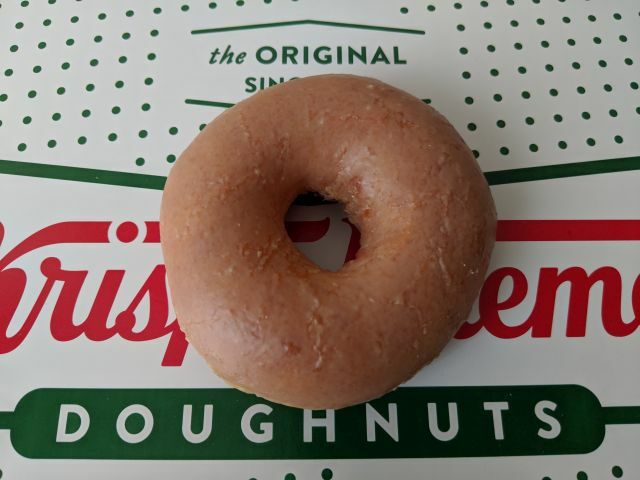 Other than the very light coffee flavor and milky tan color, the donut offered the same sweetness and cloud-like texture of Krispy Kreme's signature donut. On the second day, I found out that the coffee glaze does not age well. It started disintegrating and the coffee flavor and smell had flown the coop. 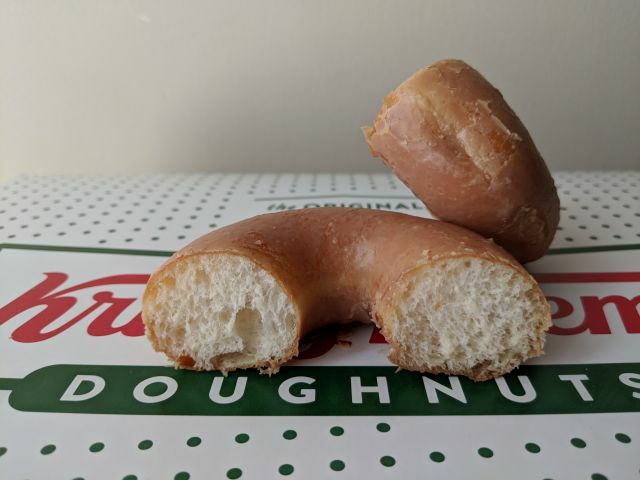 Despite the kinks, I still enjoyed Krispy Kreme's Coffee Glaze Donut but it's probably the weakest out of the chain's recent foray into putting out different spins of their Original Glaze. I would have liked to see a stronger coffee note.